Yesterday, I found that Facebook login is broken on our app. Every time the user tries to log in, Facebook will return an error. 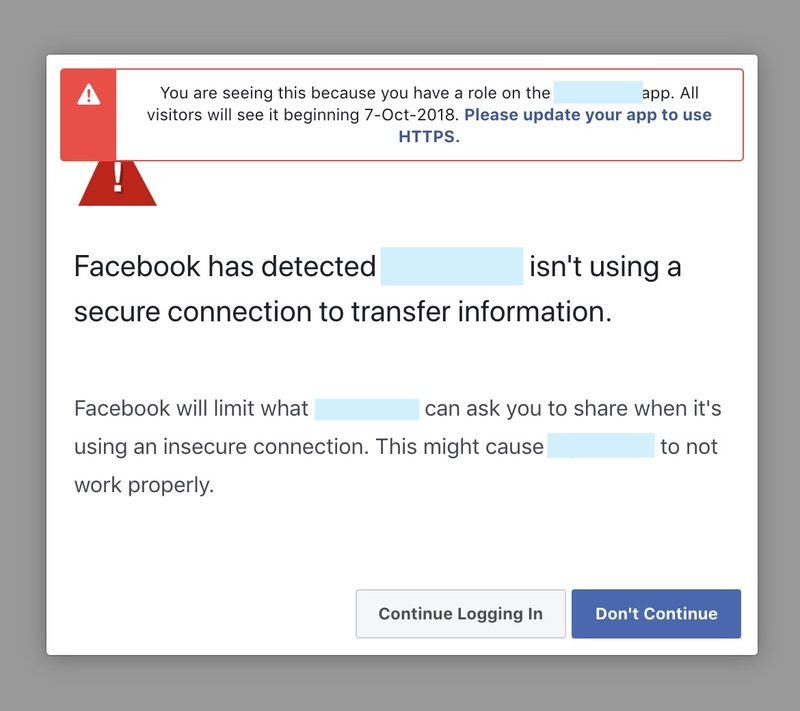 The error message said that “Facebook has detected your app isn’t using a secure connection to transfer information”. But our app always uses https since the first deploy. I read the document about this error written by Facebook. But I have no idea what’s wrong. Then I notice that the URL of redirect_uri params is started by http.  Why? So I go through the Facebook login process in our app. And I find out that the Omniauth has to detect the SSL. Like this issue. And you can add logger in Omniauth initializer as the answer said in issue. After add Proto and Port value to conf, Omniauth will reture right value with https to Facebook.